There has been an increasing trend towards the movement of clean eating or eating foods which contain no artificial ingredients. As more people become health conscious, food companies have also become aware of the change in food decisions made by customers. A large part of this change involves the research and development of new ingredients and reformulating recipes for existing products, as well as the creation of new food products. Many companies have begun the transition to providing clean food products and have provided customers with the transparency of what ingredients are utilized in their food during this process. To produce clean food for consumers, companies have to establish which ingredients they deem as unhealthy. The next step is to determine what new changes and processes need to be implemented in order to provide healthier food products. As preservatives and artificial ingredients are removed from existing products, recipes will have to be reformulated and new methods of food safety, preservation and packaging will have to be developed. Eligible costs include employee wages, cost of supplies, cost of testing, contract research expenses, and costs associated with developing a patent. On December 18, 2015, Pre¬sident Obama signed the bill making the R&D Tax Credit permanent. Beginning in 2016, the R&D credit can be used to offset Alternative Minimum tax and startup businesses can utilize the credit against $250,000 per year in payroll taxes. The FDA regulates the overall safety of certain ingredients and amount of ingredients that are allowed to be incorporated into food products. Many additives are used to provide a longer shelf-life or generate a better taste and appearance. Although, many additives are used to create an appealing product there are some ingredients that are harmful to our health. In particular, the FDA has declared that food manufacturers will have a time period of three years to remove partially hydrogenated oils (PHOs) from all products due to the determination that PHOs are unsafe for individuals to consume. The ingredient, PHO, is ultimately displayed as trans fat on nutrition labels. This new requirement by the FDA prompts manufacturers and food scientists to reformulate recipes to compensate for the loss of this additive. Companies will have to substitute PHO’s with new ingredients that will allow products to maintain a similar texture and consistency. Many food brands and restaurants have already begun transitioning to providing customers with cleaner food choices. Panera Bread promised customers during 2014 that their menu would only contain clean ingredients and the company has successfully met their goal with a completely clean food menu. 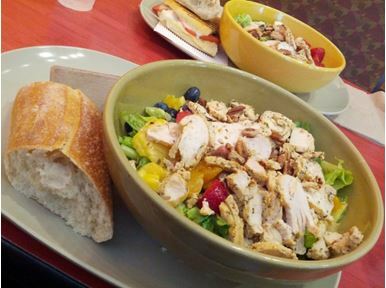 Panera food items don’t contain artificial flavors, artificial preservatives, and artificial sweeteners and colors. The Company collaborated with food and health scientists to examine which ingredients should be removed and how existing recipes should be reformulated. For example, Panera examined every single food item including their balsamic vinaigrette which was composed of natural flavors, rosemary extract and balsamic vinegar. The company discovered that the ingredients contained processed ingredients, emulsifier and artificial colors. All of these artificial additives were replaced with all natural ingredients to create a healthier form of balsamic vinaigrette. Analyzing every menu item took a significant amount of time to modify in order to achieve clean food recipes. Panera Bread not only spent time revamping food at their restaurants but also their food items that are sold in grocery stores. Chick-fil-A has declared that the company will serve chicken without any traces of antibiotics by 2019. The company will take on a 100% antibiotic-free process of raising chicken which has required communication with the United States Department of Agriculture (USDA) and their vendors. This decision was encouraged from research findings which displayed that more than 70% of individuals stated that antibiotics in meat products were an issue. There is a significant amount of changes that have to be conducted in order to fully implement this plan. For example, Chick-fil-A will have to create the proper environment for raising chickens including regulating ventilation, temperature, and ammonia levels. This initiative is one of the many beneficial changes since the company has also already removed trans fats and artificial coloring from food items. Papa John’s has transitioned towards becoming one of the healthiest pizza chains. During 2016, Papa John’s removed synthetic and artificial food colors, preservatives and high-fructose corn syrup from their food items. The chain has recently experimented with organic toppings on pizza at several restaurants in Lexington, Kentucky to determine if this should be a new implementation. Primarily, Papa John’s is testing four ingredients which include organic roma tomatoes, green peppers, yellow onions and mushrooms. Besides, providing organic topping options the company has also decided to offer a gluten-free crust option in some areas. General Mills removed artificial coloring and flavoring from seven of their cereals which includes Trix, Reese’s Puffs, Cocoa Puffs, Golden Grahams, Chocolate Cheerios, Frosted Cheerios and Fruity Cheerios. Specifically, General Mills has successfully eliminated 75% of artificial flavors and colors from their cereal offerings. A R&D team researched and conducted experiments to achieve natural coloring and flavoring for these cereal products. The team examined and analyzed approximately 69 color and 86 flavor alternatives, completed 98 tastings and created about 300 recipes. There were many challenges to achieving the exact same taste and color of each cereal when switching to new ingredients. In particular, General Mills is still trying to establish new ingredients for blue and green coloring of Trix cereal pieces. The Hershey Company stated that there will be a transition to utilizing more natural ingredients in their chocolate products by 2020. This change will lead to chocolate without artificial preservatives, flavors, sweeteners or colors. 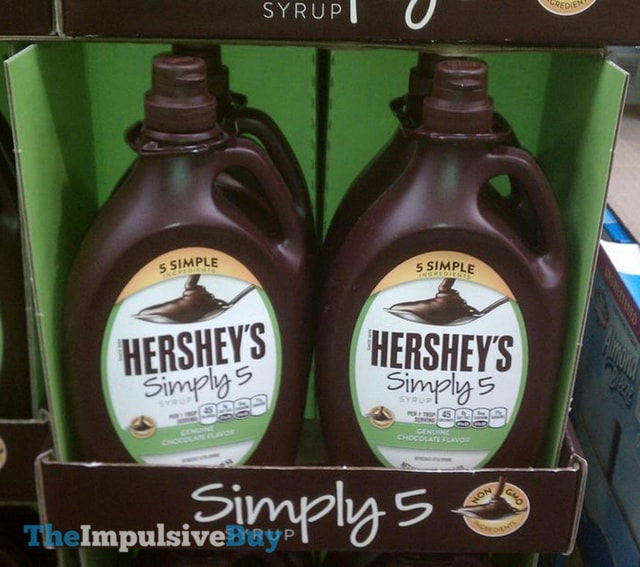 In particular, the company has created Simply 5 chocolate syrup which only contains five ingredients. Besides eliminating ingredients, Hershey’s has implemented certain technology from SmartLabel and Sourcemap to increase the transparency of ingredients utilized. These tools provide product information to customers online through QR codes displayed on product packaging and wrappers, as well as, learn about the origins of ingredients. There have recently been two popular alternatives in development for meat products which include plant-based burgers and lab-grown meat. Both products taste similar to meat and are beneficial due to the prevention of killing animals, the utilization of fewer resources in the environment, and the ability to provide a healthier alternative for individuals. Memphis Meats is a company based in San Francisco, California that has begun experimenting with the development of lab-grown meat or “clean meat.” Food scientists have experimented with growing self-renewing cells. With innovations in stem cell research and tissue engineering, companies, such as Memphis Meats, will be able to create clean meat. One of the challenges that companies encounter is growing stem cells efficiently enough in order to reduce the price of the product and amount of energy required to create the cells. During 2011, Pat Brown a former professor from Stanford University created the startup, Impossible Foods, with the intent to provide individuals with alternative health conscious food options. Investors have been drawn to contribute money to Impossible Foods allowing the company to continue research and development activities of creating plant based burgers which look and taste like meat based burgers. These plant-based food items offer nutritional, as well as, environmental benefits. One of the important ingredients utilized in the burger is soy leghemoglobin or heme which is what makes the product taste similar to meat. The company received a patent for the utilization of heme which is created from genetically modified yeast and fermentation. 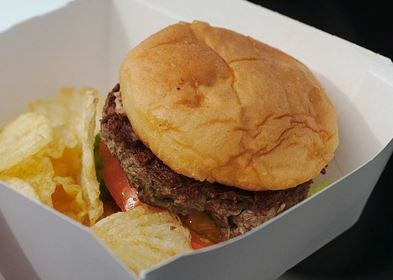 The Impossible Foods burger was primarily sold at a New York City restaurant, Momofuku, and is currently available at multiple restaurants around the United States. Food brands and restaurants are increasingly transitioning to provide customers with healthier and natural food alternatives. As new technology continues to be developed new food products, such as plant based or lab-grown burgers, will be created. Companies who are involved with removing artificial additives and reformulating food recipes are eligible to take advantage of the federal R&D Tax Credit.